2 cups raw, peeled butternut squash cut into 1/2" cubes. 1/2 cup +2 tablespoons medium intensity Extra Virgin Olive Oil ( we used Cobrancosa) or any infused olive oil of your choice. Combine 1/2 of the butternut squash, quinoa, and greens and arrange on a large platter or in a large shallow salad bowl. Add some dressing and toss to combine. 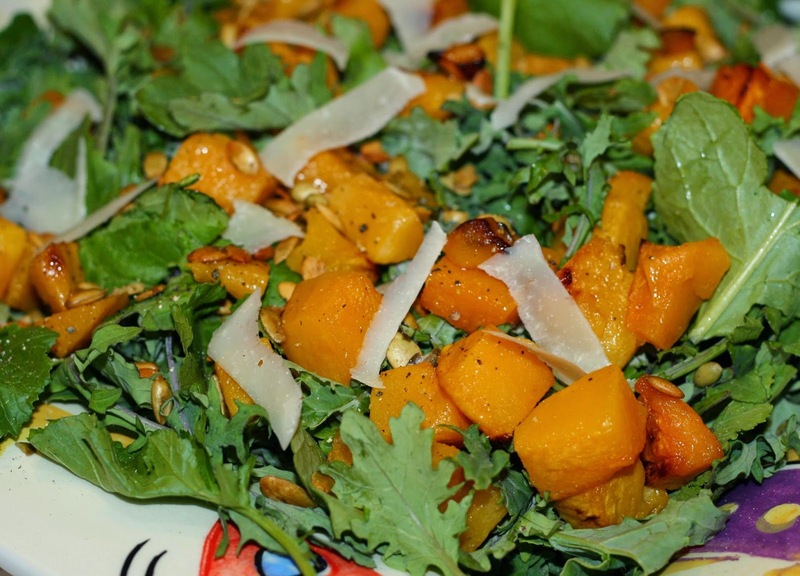 Add the rest of the butternut squash over the top, sprinkle with the toasted pumpkin seeds, and add shaved Pecorino.